Just by the name alone, “Golf on Thunder Mountain” sounds like a super fun vacation destination! 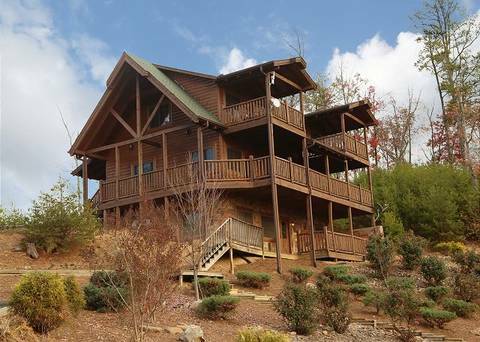 And it is—this luxury Pigeon Forge cabin isn’t just mere luxury lodging, it’s a multiplex entertainment center as well—the perfect vacation spot if ever there was one! 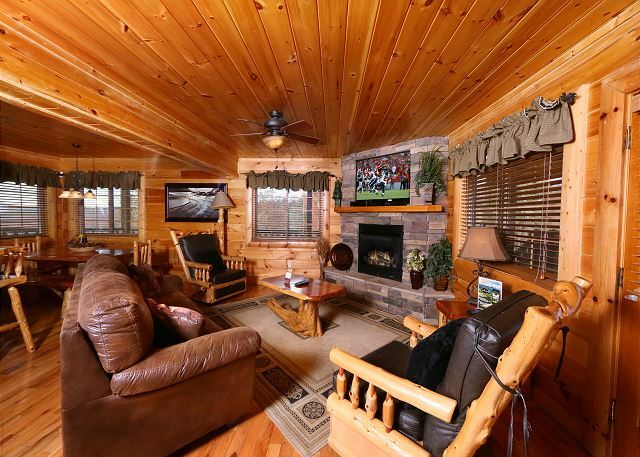 Let the fun begin by watching Dish Network / NFL Red Zone channels or a DVD on the 42" flat screen TV in the great room, logging onto the high speed internet or by grabbing a bite to eat in the fully-equipped kitchen with elegant black and gold granite counter tops and seating for 11. 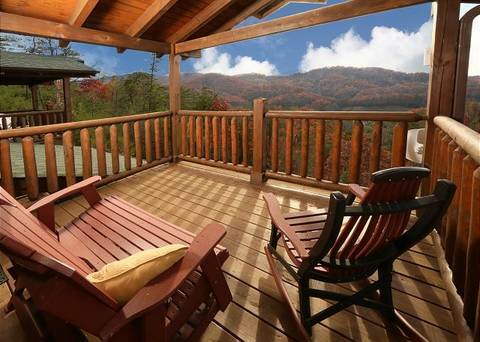 Dine with a view—without the crowds! As if that wasn’t enough, “Golf on Thunder Mountain” also has a home theater featuring a 73" flat screen TV with Blu-ray 3D compatibility. 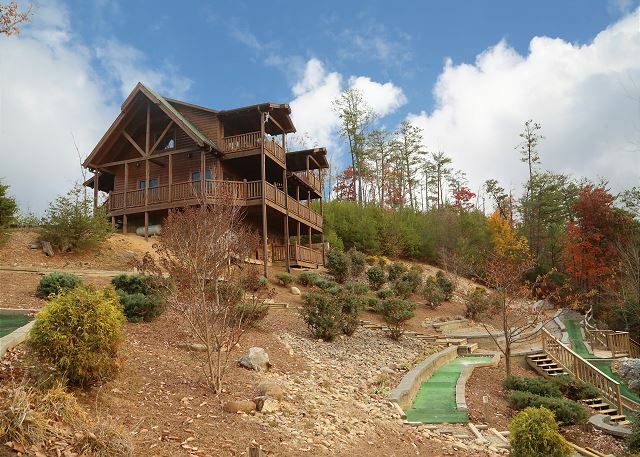 “Golf on Thunder Mountain” is ready for your outdoor adventure as well. 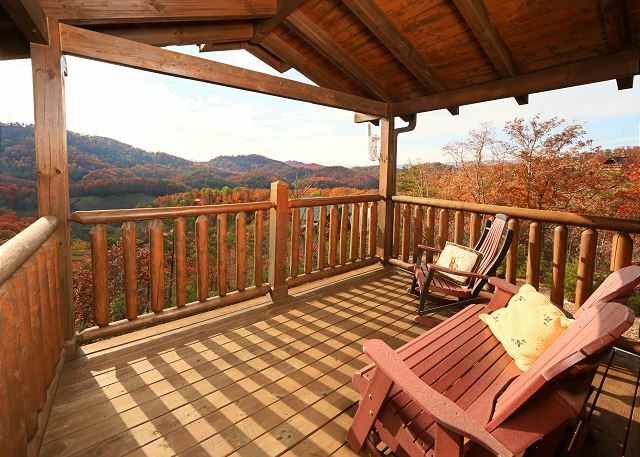 Relax in your private six person hot tub or take in some mountain air on the country porch rockers, porch swing, gliders or picnic table. Of course we couldn’t call it “Golf on Thunder Mountain” if it didn’t have its own custom–designed private miniature golf course, just for your group to enjoy. Main Level- There are 2 bedrooms located on the main level. One with a Queen Bed, and one with queen size bunk beds. There is a shared bathroom conveniently located for these bedrooms. 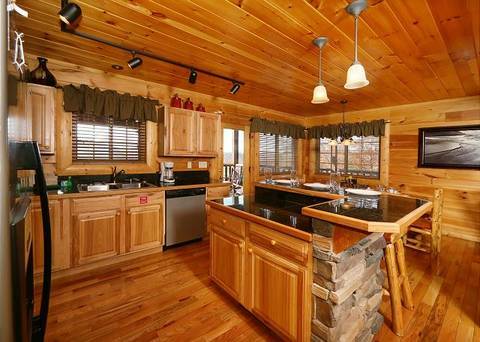 The living room, dining room, and fully equipped kitchen are also located on the main level. 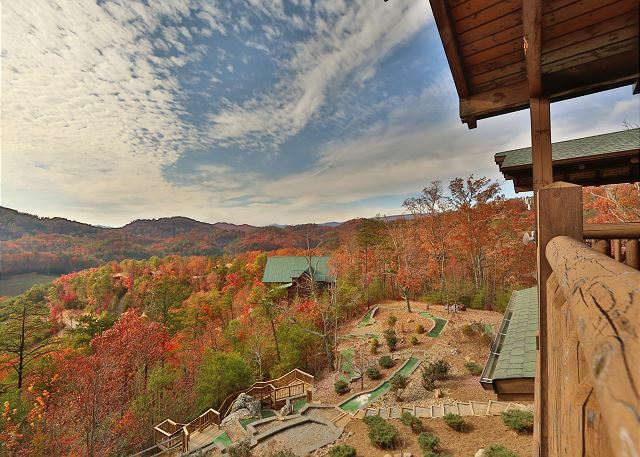 Upper level- “Golf on Thunder Mountain’s” master suites are located on the upper level and include king-sized beds, plasma TVs, private baths with a dual head shower, Jacuzzi tubs, a fireplace , and private decks with rocking chairs. Downstairs: Downstairs you will find a game room with pool table, kitchenette, 3 arcade machines, jukebox and a separate theater room with 2 twin uppers perfect for kids! “Golf on Thunder Mountain” will be a smashing hit for you, your family and all your friends. So make your reservations today!